Latter-day Saints worldwide flocked to church last Sunday, greeted by a new year, a new curriculum and, for the first time in nearly 40 years, a new worship routine. The result: new energy, a new vibe and some new challenges and new kinks. The Church of Jesus Christ of Latter-day Saints announced in October that starting in 2019 it was shortening its three-hour block of Sunday services — in place since 1980 — to two hours. No longer would there be a 70-minute sacrament meeting, followed by Primary for children, Sunday school for adults and youths and then, in the last hour, priesthood (for men and teenage boys) and Relief Society and Young Women (for women and teen girls). The new two-hour pattern features a 60-minute sacrament meeting followed by a 50-minute class alternating each week between Sunday School and Priesthood quorums, Relief Society and Young Women meetings, with Primary each week for children. 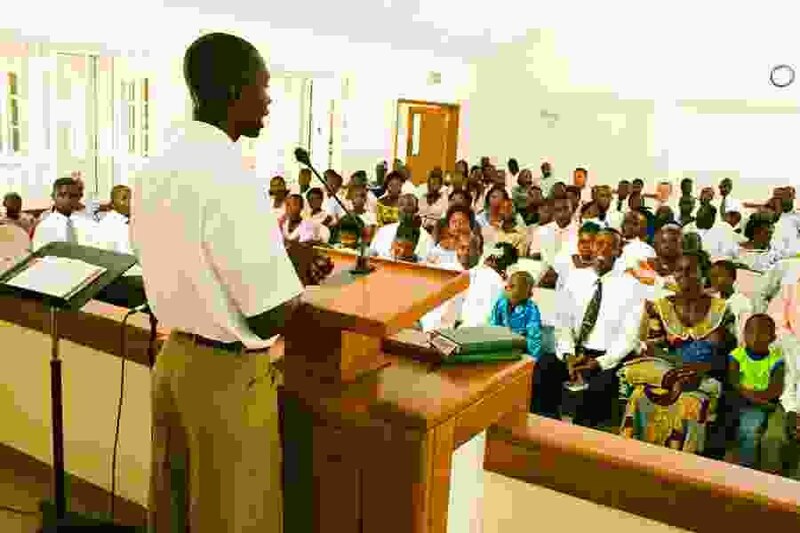 So, after Week One under the new lineup, folks in many wards, or congregations, across the globe reported unusually high numbers attending adult Sunday school, in some places filling every seat in the room or doubling and tripling the normal class size. Bigger, though, isn’t always better. One Bountiful attendee said her Sunday school class was so large it had to meet in the gym, with some members standing on the sides. “It was miserable,” she said. Midway resident Scott Cannon observed another drawback of the reduced schedule: tight space. Most agree, though, that less church can mean more engagement, especially for young children. For starters, the weekly Primary gathering is half as long — still with singing and classes — but less time for youngsters to get tired, hungry, cranky or bored. Chelan Hunt and her husband teach 6-year-olds in Fresno, Calif.
What about that extra hour? Church President Russell M. Nelson said the shortened meeting schedule was intended to strike a “new balance and connection between gospel instruction in the home and in the church.” So families, friends and individuals are expected to engage in more religious study — with new church-provided instruction materials — away from the meetinghouse. Any downside to the two-hour block? Possibly the loss of some music, said Janet Brigham, given the elimination of most hymns in meetings outside of sacrament meeting. Brigham, who leads her ward choir, has been told the group will now sing only for special occasions like Christmas and Easter. What Brigham’s ward apparently has chosen to do for now — keep that many speakers, for example — is not necessarily how other congregations are responding to the abbreviated time. Latter-day Saint leaders have emphasized that they expect adult hymns and children’s songs to continue to play vital roles in the new curriculum — a new hymnbook is being developed — though they have offered no specific mandates about it. Several members noted that it will likely take time for the faithful to settle into comfortable patterns with the new schedule.